One area in all our lives where we can make big changes that actually matter is in our homes and particularly in our kitchens. 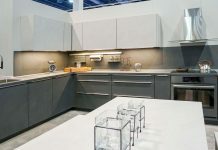 Without even going into some of the ways you can be green with your food and water consumption, you can make a big impact by changing your kitchens cabinets, appliances and lighting. So if you are thinking about remodeling your kitchen you should make a green kitchen and use green methods that actually work. Let’s start by talking about cabinets. A lot of people will tell you to only buy cabinets that are made from FSC certified woods. The FSC is the Forest Stewardship Council and they basically put seals of approval on wood to let people know it is being sourced responsibly. 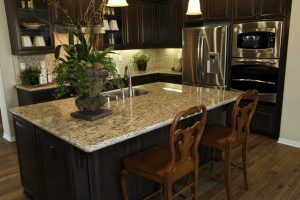 You probably do not need to worry about contributing to deforestation with the purchase of your kitchen cabinets. Historically massive deforestation takes place during unchecked industrialization. In America we had very drastic deforestation going on for decades and then we wised up and started conservation efforts and responsible logging practices. For the last hundred years our forest levels have remained constant. China’s big push for industrialization was more recent but they are now making the same steps back toward conservation. * Since the majority of cabinets available to you are domestic US built or Chinese import you can buy with confidence. Search for that FSC label if you want but don’t lose any sleep over it. 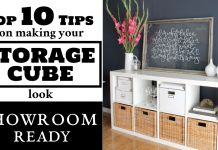 You will also hear people say that you should look for cabinets that have paint and finish with low VOCs. This is referring to the amount of Volatile Organic Compounds (VOC) that will seep out of the paint and harm you. As a kid I was told not to gnaw on the fence post just in case they used lead based paint. Now I guess it’s all about VOCs. I hardly think the science on this issue is conclusive because they have a hard time determining just how long it takes for VOCs to finish seeping out of paints in the first place. In any case, finding low VOC paint is fairly easy so “it’s better to be safe than sorry.” An easy way to be both safe and green is to get cabinets made from formaldehyde free plywood. Rather than losing sleep over what chemicals are wafting out of your cabinets, a great way to be green is to look for quality cabinets. Cheap particle board furniture will have to be replaced again and again. 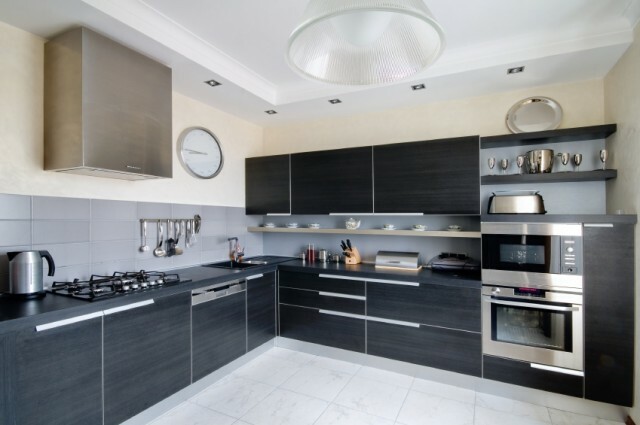 If you are investing in a green kitchen you should get quality cabinets with plywood bodies and solid wood doors. 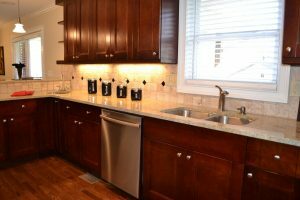 Good cabinets can last you 20 years or more. Since rubber tree wood makes wonderful cabinet doors and frames, it is often used to make cabinets. This wood is harvested and sucked dry to manufacture rubber products so using the leftover (reclaimed) wood is a very environmentally conscious option. It shouldn’t be too hard for you to find safe cabinets that won’t kill you, that will last a long time, and that are made from responsible manufacturers. That is a truly green cabinet for a green kitchen. If you want to have a green kitchen you need the right appliances. Luckily these days, it is very easy to get the right appliances because of Energy Star. 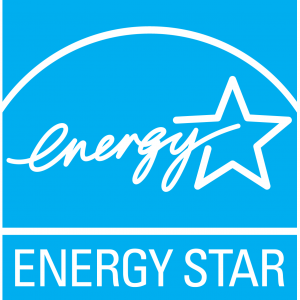 Now, I’m not overly fond of very much that the government does, but Energy Star is a government endorsed label for appliances that are energy efficient. A simple labeling system, what’s not to like? Washing machines that have the Energy Star label are at least 30% more efficient than the standard machine. You can save around 5000 gallons of water each year using an Energy Star Labeled washing machine! The Energy Star dishwashers only use about 5 gallons of water per wash. That’s about a third of the water used by dishwashers in the 80’s. There is really not much to say, save electricity, save water, save money; buy Energy Star appliances. Kitchen lighting is very important because the right lighting can be both energy efficient and more pleasing to those using the kitchen. 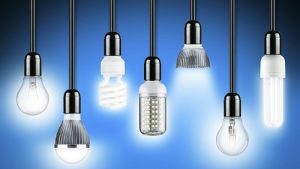 We all want environmentally friendly lighting so most people are moving away from incandescent lights. While they do provide beautiful light they also use the most energy. Because of their higher energy consumption, many “green” people demonize incandescent light. We should NEVER get rid of incandescent lights, they have their uses. 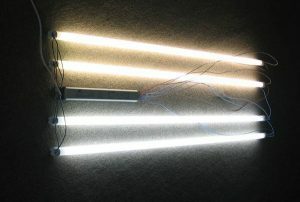 Fluorescent lighting is often suggested as a very affordable option that uses way less energy but unfortunately it provides this ugly green light that gives off a very sterile hospital feel. Whenever possible, you should try to light your kitchen with natural sunlight. Kitchen Skylights add so much life to any kitchen. We can’t all be as lucky as the owners of this kitchen. 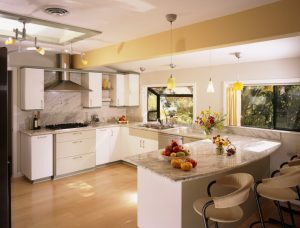 Sometimes the design of your home and the position of your kitchen make it harder to have a skylight. If your attic space is thick above your kitchen you can try building a tubular skylight. While not quite as stunning as other skylights tubular skylights allow sunlight to bounce off the white walls down into your kitchen. 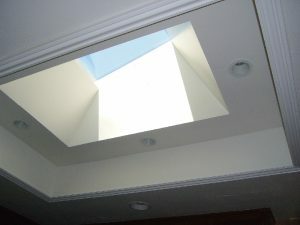 This design also gives you the wonderful option of hiding some lighting up in the skylight shaft. This option will give you a similar lighting feel throughout the day and after the sun has gone down. If the design of your house makes it unfeasible to have a skylight you can also try lighting your kitchen with LED lighting. 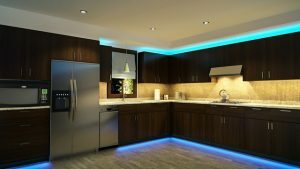 Light Emitting Diodes are extremely efficient and they can provide your kitchen with some unique and creative lighting options. This picture shows a great use of LEDs for indirect mood lighting. Japan and parts of the US have been working on using fiber optic cables to harness sunlight on the tops of buildings and channel it down into fixtures in rooms below. This form of lighting uses virtually no energy and as the sun rises and sets it provides natural light that has all the subtle changes in intensity and color temperature that our bodies experience with sunlight. This is not a cheap option so if you want space age fiber optic lighting in your kitchen you should be ready to pay for it. Recycling is hurting the environment more than it is helping. Remember to reuse and re-purpose whenever possible. There are plenty of Youtube videos that demonstrate creative ways to repurpose egg cartons and plastic soda bottles. If you are lucky enough to NOT live in a city with overbearing fascist laws against plastic grocery bags, then enjoy your freedom while it lasts. You can use those free bags as trash liners, or dog poop bags, or just as a plastic bag. Use what you can, do what you can. Every little bit helps. Find the right way to make your kitchen as green as you want it to be. There is a variety of ways to be energy efficient and make choices with your environmental impact in mind. But most importantly, don’t get caught up in the hype of “being green.” Use the green methods that actually work and make strides to better the environment.